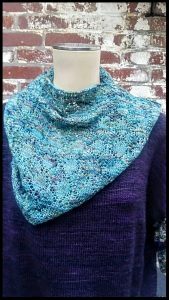 The fallen leaves cowl is now live on Ravelry. Fallen Leaves Cowl is a comfy cowl to wear when the weather is getting colder. This cowl was inspired by the fallen leaves in autumn when you just want to wrap yourself in a comfy cowl to keep your neck nice and warm, also perfect to wear just as an accessory in your wardrobe. This piece has textured ribbed edges and a lace(y) body, which is made from eyelets and decreases, a simple yet elegant design. What makes it perfect for easy going knitting with enough interest to make it an engaging knit. 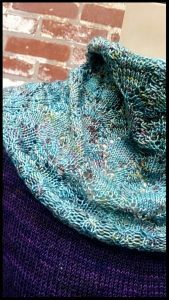 This is a written pattern, and that is also within reach of an adventurous new cowl knitter if knitted a few pieces before.